Battery powered tea lights have been popular for a couple of years now. They are great party decorations because unlike regular candle tea lights, these are safe. 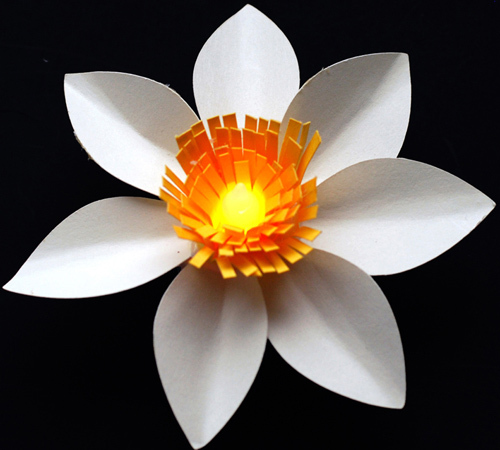 This paper project decorates a tea light with a paper flower design made out of card stock and is easy and fast to make. 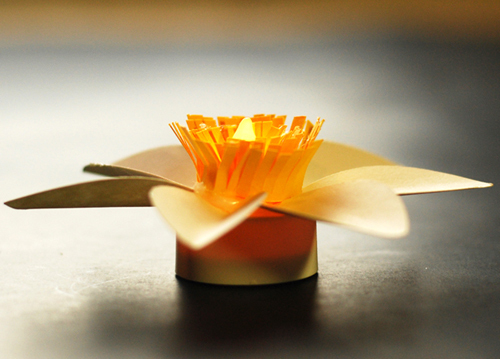 This flower would look absolutely gorgeous on a buffet table or as a table decoration. 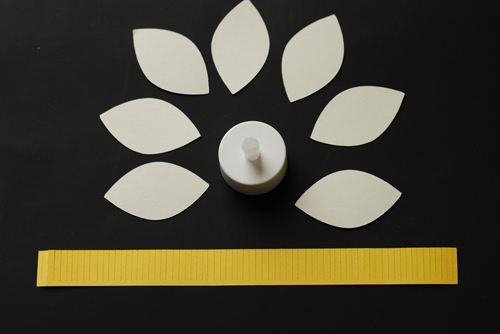 1.Download the tea light flower project template here. 2.Cut out seven petals from light colored card stock. 3. Cut out flower center from yellow card stock. 4. 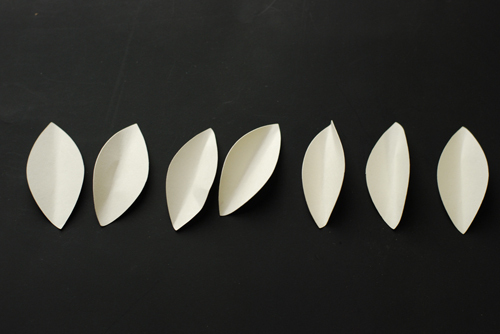 Curl the petals lengthwise (to make them look realistic) toward the centers as in the photo above. 5. Curl the flower centers as in the photo above. 6. 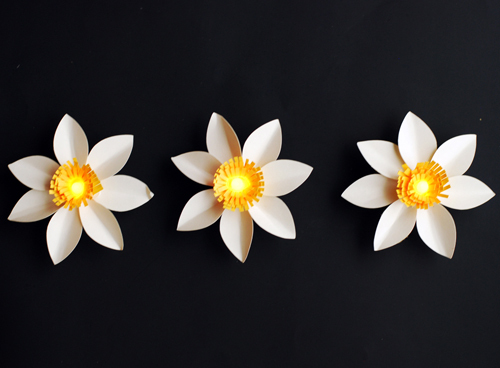 Attach the petals around the top of the tea light with hot glue. Glue the flower center in a circle on the top of the tea light. 7. Turn on the lights and admire your beautiful party light decorations!